Hartford City, Indiana is the perfect example of a close-knit developing community wherein people of the city come together and help in building a strong economy with a lot of promise for future growth. In such an environment, pursuing a CSD training in Hartford will help you achieve not just personal goals but also contribute to society. KnowledgeHut is a reputed institute that brings to you a revolutionary CSD course in Hartford, which will change the way you plan your future career path. Hurry and register yourself for this intense 5-day workshop and become a part of innovative classroom lectures and online learning by expert tutors in the CSD training in Hartford. The first day of coaching will give you an introductory demo followed by elective discussions on the second day. 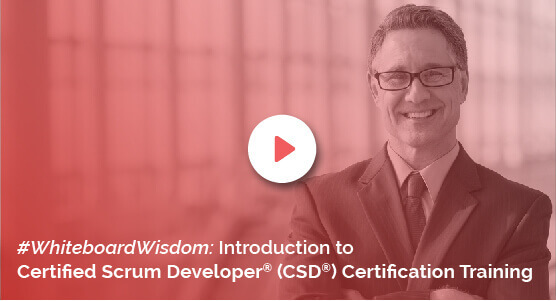 Over the third and fourth day, you will be taught the basics of technical aspects by the best trainers in the academy in the Certified Scrum Developer training in Hartford. On the final day, there will be integrated practice sessions and a recap of the material covered in this course. When you enrol in this CSD certification in Hartford course, you pay for the Scrum Alliance Certification Examination fee as well. With this you also get Scrum Alliance approved course material and a 2-year membership with Scrum Alliance. At KnowledgeHut, we aim to provide the best possible Certified Scrum Developer certification in Hartford at the most reasonable cost. You will also learn, practice and work through practical applications in this workshop that will give you unmatched skills.